Saving in the outer parts of Lumiose City will no longer break the game. It was the first time a Pokemon game launched worldwide, but over a week ago Pokemon X and Y players discovered when they saved in certain areas of Lumiose City, their game broke. Nintendo has a patch available for download on the eShop that will fix the bug preventing players from resuming their game after saving in areas of Lumiose City. If you already encountered the bug and have not deleted your save data yet, fear not - the patch will restore your game and you can pick up where you left off. The patch also fixes a bug that prompted a communication error in the Global Trade System when you use a filter for searching for Pokemon. Even if you have not encountered the bug, downloading the patch would be in your best interest to ensure saving in Lumiose City doesn't freeze your game. 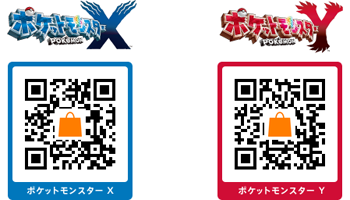 To download the patch, either go to the eShop, which should prompt you to download the update, or you can use the 3DS camera QR code scanner to scan the pictured QR codes. To do this, in the eShop, go to the menu and select Settings/Other, and then select Scan QR Code. The patch is 229 blocks. There are two patches: one for Pokemon X and one for Pokemon Y. Obviously if you only have one of the two, you need only download the patch corresponding to the version you own. The Lumiose City bug was the most potentially dangerous glitch in X and Y. With patch 1.1 fixing the problem, we can hope there will be no further problems to deal with.